It’s time when we all start to think about getting our hands dirty in the garden. There are some things that you can start to do – other things should wait just another week or twol We can still get snow and there are going to be a few more days that frost will be likely. Garden tools – get them ready. 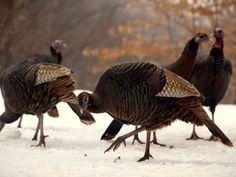 Pull them out of their winter storage hideout and check to make sure they are ready to go. Are they clean? On your pruners – does the bypass work, have you sterilized it yet – are the screws still tight? Your rakes, hoes, shovels, tiller, etc. make sure they are all in proper working order so when you do get out to actually do the work – you aren’t disappointed in a delay while you fix something! Pruning. You can prune your shrubs now but use caution on which ones that you are going to work on. A general rule of thumb – if it blooms in the spring – prune in the fall. If it blooms in the fall – prune it in the spring. Yes – there are always exceptions. 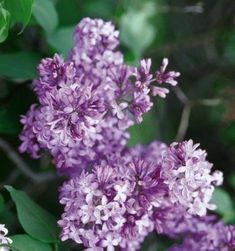 Lilacs for example. 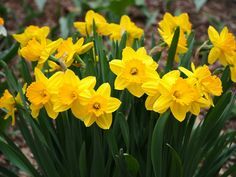 They bloom in the spring – but you want to make sure that if you are going to prune them this year – you do it right after they bloom so that when the new buds set – you aren’t pruning them off. They will set buds soon after blooming this year. Shrubs like spireas, dogwoods, weigelas – you can certainly prune now to shape them. If you have any questions as to which shrubs are safe to prune – just give us a call and we will certainly help you figure it out. Raking your lawn. Only rake areas that you absolutely have to- but know that you will be pulling out blades of grass when you do this. An example, in our yard I had to rake off the crushed rock that got piled up from the snowplow. With so much snow, there wasn’t enough space to put it so more than I would have liked got piled on the lawn. So I did rake out just the edges to get the crushed rock off. The rest of the yard – I’m waiting on for another week or so until it is nice and dry and doesn’t “squish” when we walk on it. Garden beds. Don’t rush getting in and do any tilling or hoeing in the bed. We have had alot of moisture form all of the snow. Let the soil dry out. If you take a handful of soil and squeeze it – if it forms a ball and is sticky – you’re in the bed too early. Wait until the soil crumbles nicely. This picture was taken back a couple of years – it shows how nice crumbly soil will look in your planting bed after it has been tilled. Spring is here – the tulips and daffodils will be up soon, the wildflowers in the woods will be bursting through – the days will be warm – the nights cool and then summer will be right behind. Enjoy every second – we deserve it after the winter of 2018-2019! Previous Post2019 Northfield Home & Garden ShowNext PostKnecht’s Bonus Bucks are Back!